Hockey is India’s national game, and is an integral part of the country's sporting culture. This open air game, apart from building physical fitness, helps youngsters develop their personality, imbibing qualities such as stress management, leadership, decision making skills, teamwork and self confidence. 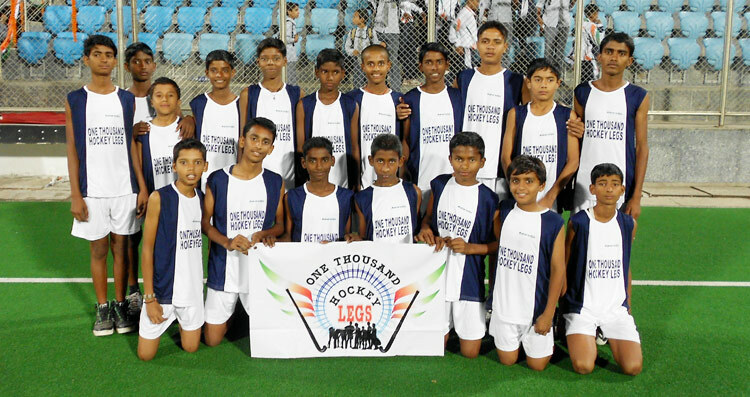 One Thousand Hockey Legs is a program envisaged by the Hockey Citizen Group, aimed at providing school children with an opportunity to understand, play and enjoy hockey. If you'd like your school to participate in this unique progam, please contact us at hockeycitizengroup@gmail.com or support@othl.stick2hockey.com.